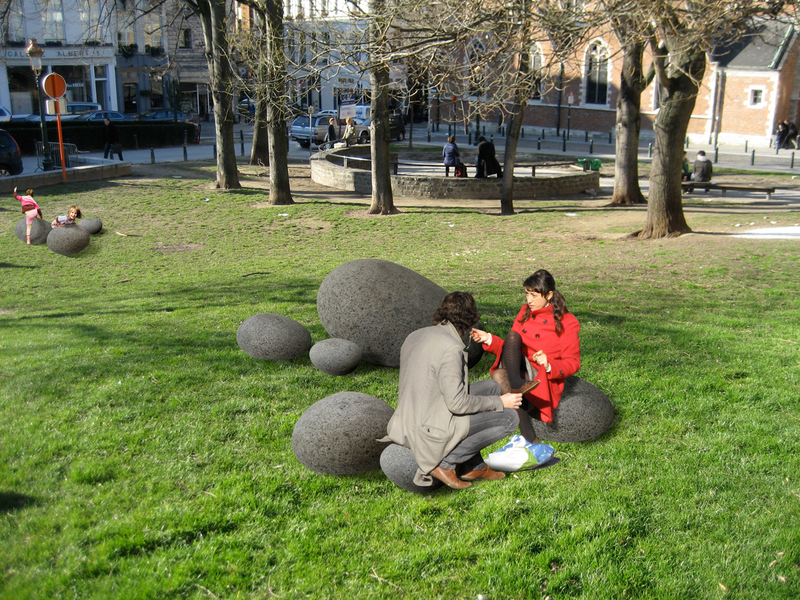 Giant pebbles made of recycled plastic for urban spaces purposes, as if all the daily waste from parks was gathered and compacted. With different shapes and sizes, their natural outlines allow for various ways to stand, sit, or behave; they look like ordinary objects that have been there forever. This stone-like material is ecological and economical; it does not putrefy; it is waterproof, durable, and weather-resistant; it does not require regular maintenance; it is splinters-free and 100 % recyclable. It is ideal for urban use.